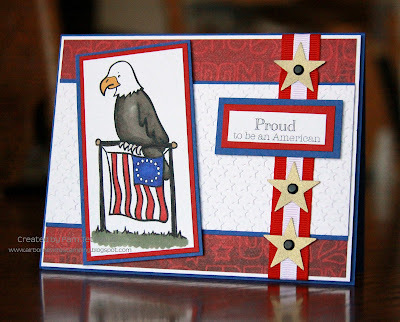 Hello OWH card makers, it's Jan checking in today! I have a special Monday blog post for you! Katlyn, of K n' K Designs has teamed up with Deedee Anderson to offer 7 digi sets that are perfect for your OWH cards - or any cards, for that matter! All of the proceeds for these sets (minus the paypal fees, of course!) will be donated to OWH for shipping costs. Every bit of it! You can buy the sets separately or in a bundle - Go check out KnK Designs for all the details!! 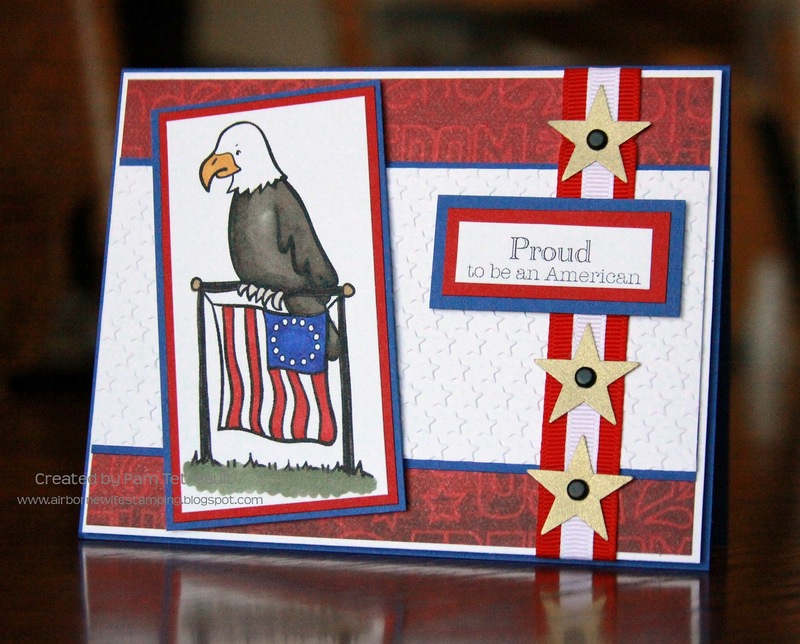 I've posted some samples made by Operation Write Home card makers so you have an idea of what's being offered and fun ways to use these cute digital images. I have more sample cards to share but I'll leave them for another day this week! Be sure to stop by K 'n K Designs to see everything! These sample makers did a wonderful job with these adorable images. Beautiful sample cards and thanks so much to K-n-K for supporting OWH! Thanks to both the artists for their wonderful designs and their dedicated efforts on behalf of OWH! The cards are just super! The images are very sweet. The sample cards a all very nice. My favorite is the one with the dog -- reminds me of our lab -- she is always getting into things. Thanks to K 'n K Designs too for their support of OWH. 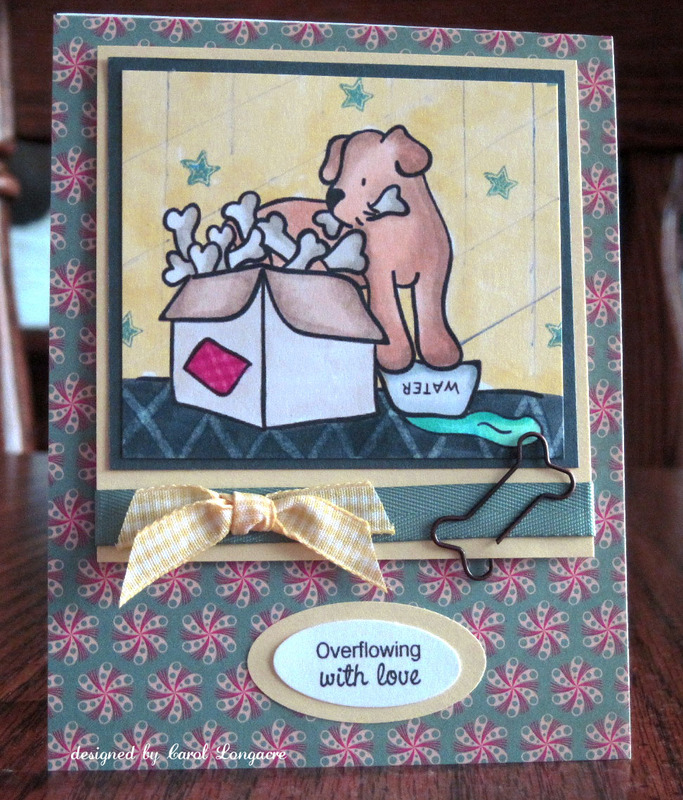 Beautiful cards and thanks for the support of OWH! What an awesome organization to do a fundraiser for.. thank you KnK designs for doing this. I made a card using the doggie and the box of bones.. such a cute image. Vlog: some exciting news for Veteran's Day! 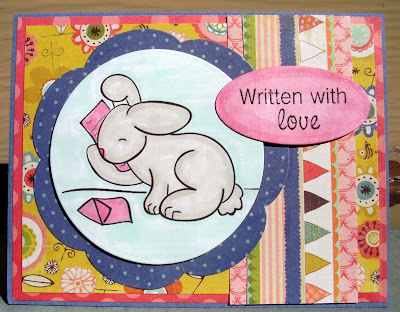 World Cardmaking Day Bloghop Starts Here!